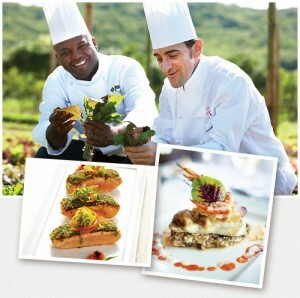 At Sandals, dining is one of the most impressive highlights of your Luxury All Inclusive vacation. Famed master-chef Walter Staib, recipient of the world’s most prestigious culinary awards including the Silver Plate, has assembled a five-star team of internationally trained chefs with a unique talent for transforming closely guarded recipes into unforgettable evenings. Sandals has created the most unique suites with romance, seclusion and luxury in mind. All with the finest furnishing and details, living rooms or seating areas, lavish bathrooms and private patios terraces. Resplendent in every detail, Sandals suites epitomize an uncompromising commitment to luxury. Now at any Sandals Resort in Jamaica, connecting with loved ones is easier than ever, with FREE All-Luxury Included Connections. Enjoy the perks of a Concierge level room or higher and get FREE WiFi, Internet access throughout your vacation. At Sandals Resorts, making the right connection is always at your fingertips. Canada, as well as to landlines in the United Kingdom. Your personal butler is trained in accordance to exacting standards by the Guild of Professional English Butlers, which provides butlers and valets to nobility and celebrities worldwide. Your Butler will help make your special vacation the most memorable ever. A Sandals Butler handles every detail of your vacation with unobtrusive grace. From drawing a rose-petaled candlelit bath to pressing your wardrobe, whatever your whims, your butler is there to make sure every moment of your stay is beyond flawless. The Luxury Included® experience begins and ends at Club Sandals, a place overflowing with extraordinary privileges and exceptional service for concierge guests of Sandals Resorts in Jamaica. Extravagance is blended with remarkable amenities that completely redefine genuine hospitality and allow guests to enjoy one-on-one service and complete relaxation in the comfort of a stylish lounge. Club Sandals concierge staff members offer unique insider’s opportunities exclusive to concierge guests and the best recommendations for discovering all that Sandals has to offer… and beyond. Also enjoy a private Concierge Lounge, exclusive Staff Services, Weekly Activities and many more. There Are Endless Ways To Be Entertained Day & Night. As Many As 12 Bars Per Resort With Unlimited Premium Brands. Sandals Resorts is always looking to raise the bar when it comes to the Luxury All Inclusive experience to our guests. This exclusive partnership with Beringer® Vineyards raises the standard of the “included” wines poured at our resorts and provide an even better selection of wines sold on our Manager’s and Chairman’s lists. The Platinum Certification Program by Beringer® Sandals Resorts has partnered with Beringer Vineyards in an innovative educational program. Restaurant and bar staff will undergo this certified training program to give them more tools and information about wine. The Sandals House Wine has been specially selected and branded for Sandals Resorts by Beringer Stone Cellars. The winemakers crafted these Limited Edition wines in a fruit forward and refreshing style perfect for the beach or at the dinner table. The Sandals Manager’s and Chairman’s Wine List. Our resorts’ wine lists have been enhanced through a collaborative initiative between the culinary and winemaking teams of Sandals and Beringer. The wines chosen for the list are food friendly and approachable in style. When you honeymoon at Sandals Resorts for six nights or longer, Sandals Gives you a Free Beautiful Beginnings Wedding — or use the value toward creating the Wedding of your Dreams. Design the wedding of your dreams. As the industry trendsetter, Sandals introduces “Your Wedding, Your Style,” a wedding created by you, and sealed with your personal touch. Now, your wedding will be as unique as your love. Please note: Red Lane® Spa treaments are available at additional cost. With Sandals Exclusive Offshore Islands You Get Two vacation For The Price Of One. Romantic cabanas for two on the beach and discretely placed throughout the island.